That's right...today you get two for the price of one. Mainly because these aren't so much recipe's as they are side dish idea's. We love to grill in summer. It's easy, fast and cuts down on the dishes; my personal favorite! These are also two great idea's for utilizing your awesome garden harvest or farmer's market finds. 1. Brush the zucchini halves with olive oil and season with salt & pepper. 2. Place on the grill. 3. 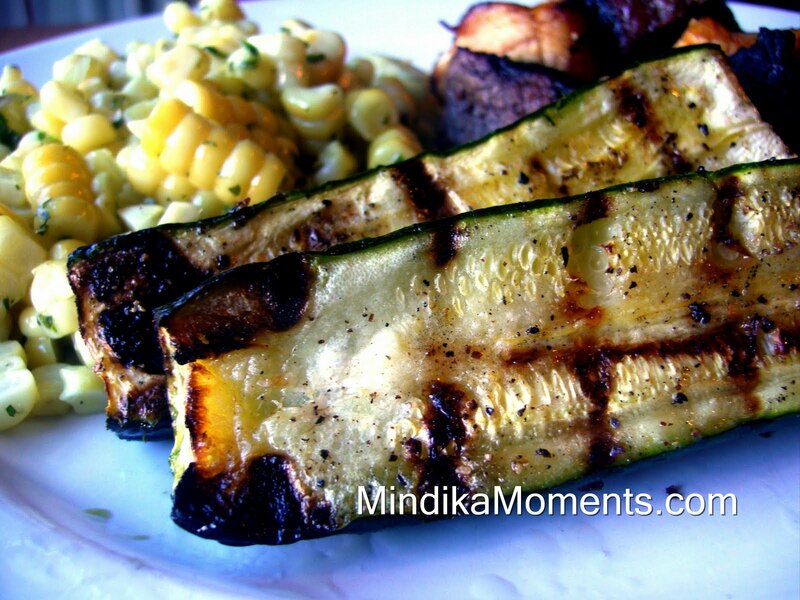 Baste with balsamic vinegar as you grill. 4. Cook until your desired doneness. I usually cook mine for about 5 minutes. I like them kind of crispy on the outside and nice and juicy on the inside. There are a couple different ways you can cook this yummy side. 1. 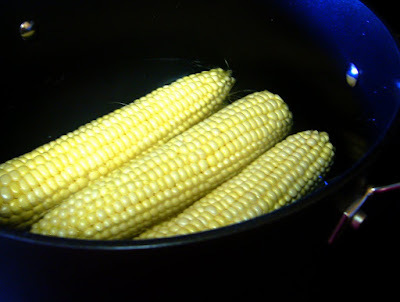 Boil your corn on the cob in water with a couple tablespoons of sugar. The sugar will help draw out the sweetness of the corn. Boil for about 10 minutes. 2. Take the corn out of the water. 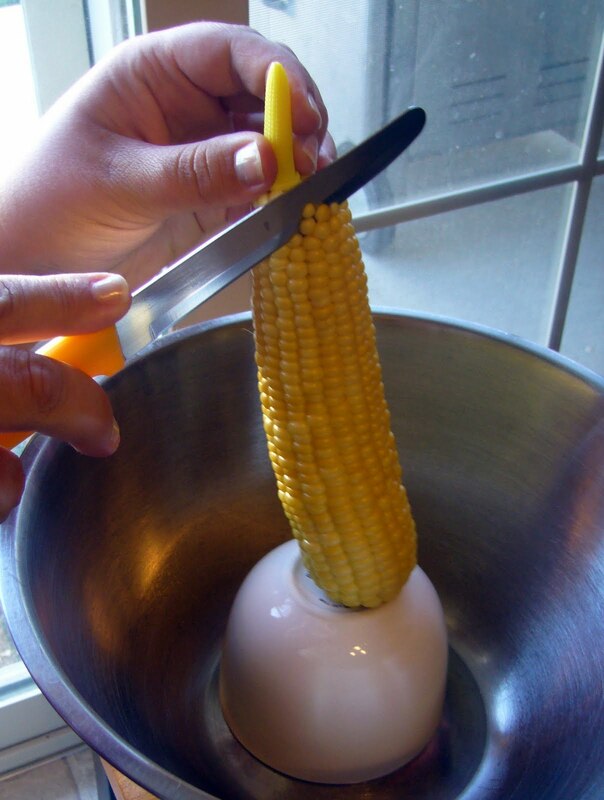 Using a sharp knife, cut the corn off the cob. I've learned a great trick for cutting corn off the cob...place a small bowl or tea-cup inside a large bowl. Rest your corn on the small bowl and cut. The larger bowl catches all the kernels with a lot less mess. 3. Toss the hot corn with herb butter. Amount will be determined by how much corn you cook. Add to your liking. 1. Pull the husks back from your corn, being careful not to pull it completely off. 3. 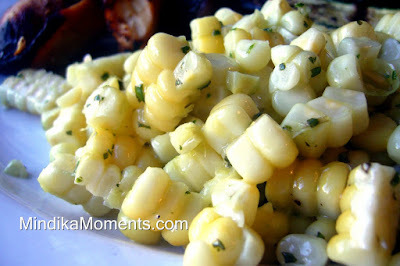 Lather the corn with herb butter to taste. 4. Pull the husks back over the corn, twisting the top to close. 5. Place the corn straight on the grill and allow to cook for about 15-20 minutes on low heat. 6. When the corn is done, remove the husks and enjoy!